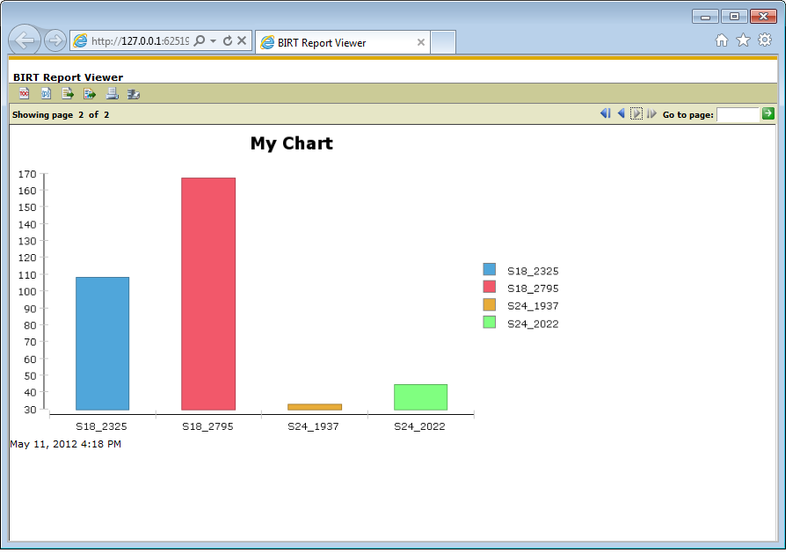 When building reports that contain Charts, the BIRT data engine is responsible for creating the chart series data points. These data points are generally tied to BIRT data sets or cubes. While these mechanisms handle a lot of the grouping an aggregation of the data to be charted it may be desirable to add some manual data points to the chart. 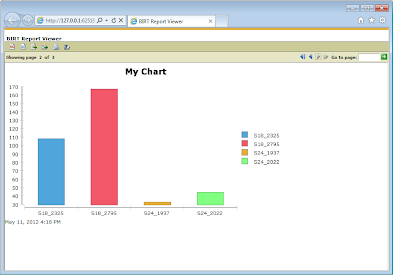 Fortunately this can be done with a fairly simple chart script event handler. If you have not done any chart scripting before, you may want to read over this post on scripting. 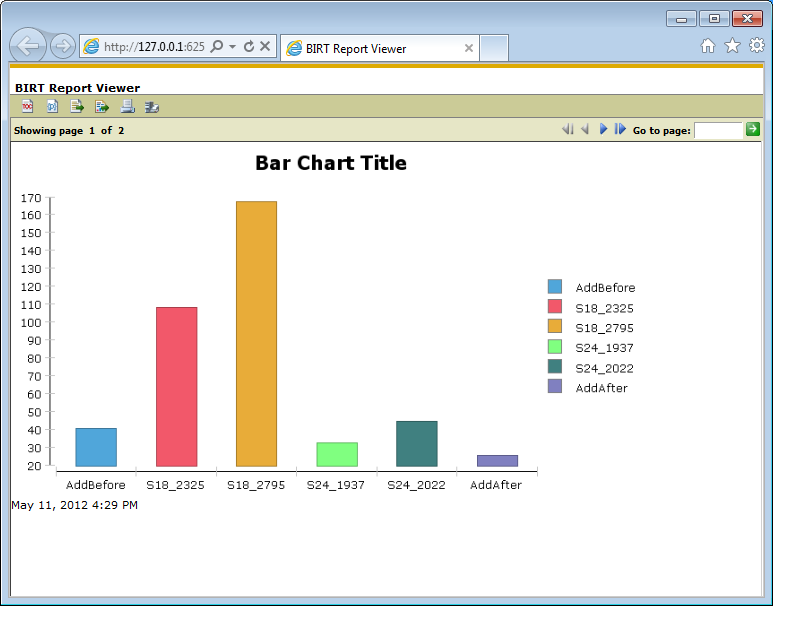 This chart contains one bar series with four data points. 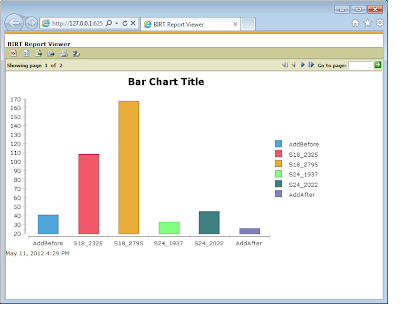 In this example the afterDataSetFilled event will be fired twice, once for the category values and once for the bar series values. We can then use the following script to add a value to the beginning and the end of the series. This example is available for download at Birt-Exchange. For an example on adding a whole new series to a chart, see this post.